If you need more information, or would like to contact us, please send email to services@eiaab.com. We will contact you shortly. Search For Product: Enter Product Name In Search Box And Click Search. 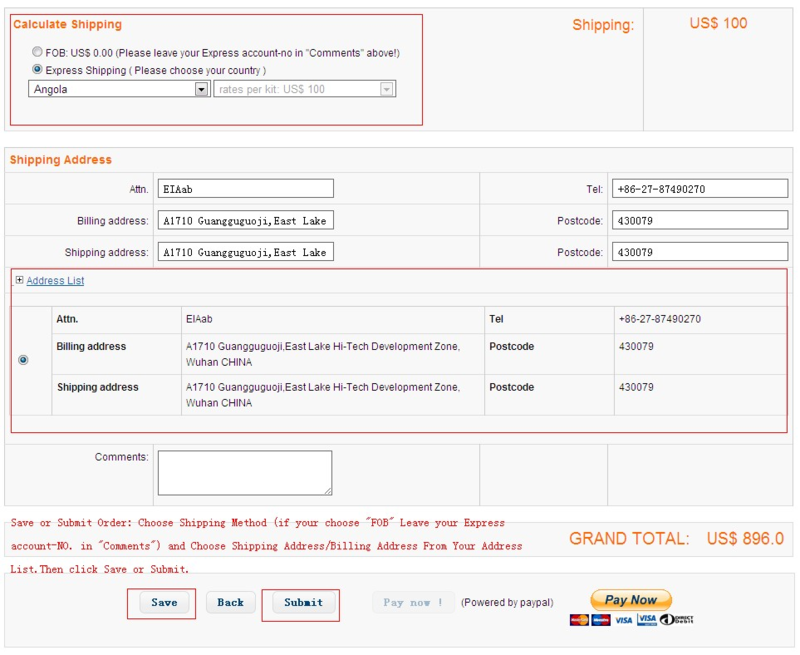 View Product Detail: Click Gene Name or Available Products For Full Details. 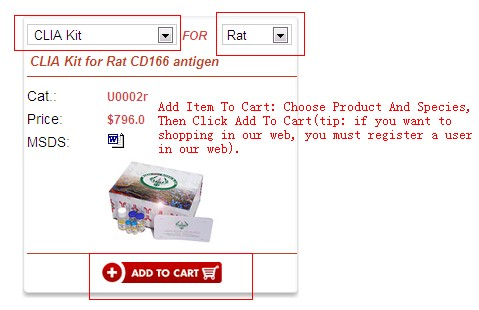 Add Item To Cart: Choose Product And Species, Then Click Add To Cart (tip: if you want to shopping in our web, you must register a user in our web). View Item In Cart: Click My Cart On Top Right To View Items Added. Manage Address List: Click Manage Address On Top Right To Manage Your Shipping Address/Billing Address (you can add a few items to your address list). Address From Your Address List.Then click Save or Submit. Pay now:Once you submit your orders, You Can Click Pay now to Pay By Paypal or Click Wire transfer to pay By T/T thus it will create a PROFORMA INVOICE. View Order Detail: Click My Order On Top Right To Check Up on Current Order-status/Payment/etc Info.